Mick Schumacher says that he is "living the dream" after wrapping up the Formula 3 European Championship in the second race of the Hockenheim finale. Schumacher followed home rookie star Juri Vips to put the title beyond the reach of closest rival Dan Ticktum with one race remaining. "It's hard to describe in words," said Schumacher. "I feel really grateful for what I'm able to live in this moment, to live this dream. "We do what we love, so to also perform well in it is the best feeling you can get." 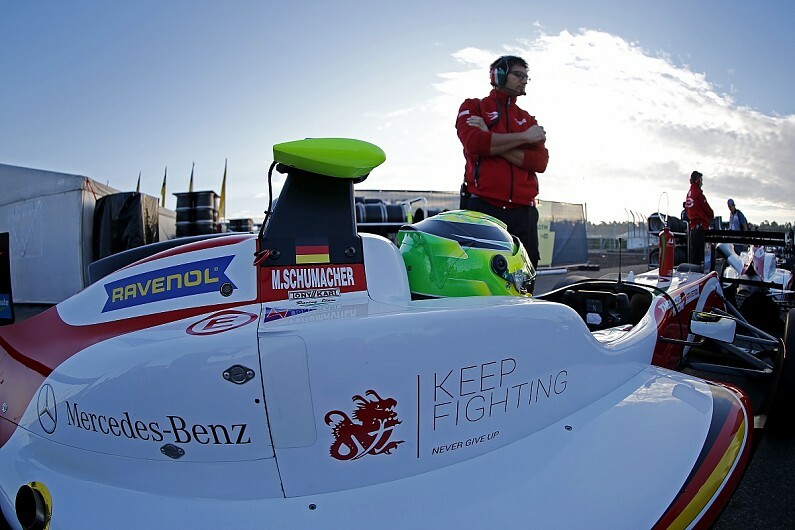 Schumacher said that his Prema Powerteam squad has kept him grounded despite all the media attention that comes with being the son of seven-time world champion Michael Schumacher - he has a very small personal entourage that comes to races, comprising Schumacher Sr's long-time friend Peter Kaiser and manager Sabine Kehm. "I have the team behind me, and people I can go to for relaxing," he said. "This was key for me coping with the attention that I have, and to focus on racing and what I love doing, which is being on track and turning quick lap times." After the first 14 of 30 races, Schumacher was a lowly 10th in the points, but he then took his maiden win at Spa and has now notched up eight victories. "We worked so hard all season - maybe at the start of the season it didn't look the way it is now, but we were able to progressively improve everything we worked on," he said. "The team gave me so much support all year long, even in the lowest moments." The high 32-degree ambient temperature was held responsible by both Vips and Schumacher for making mistakes during the title-deciding race. "I had quite a lot of tyre pick-up, probably due to the temperatures," said Schumacher. Vips is now just 14 points behind Motopark team-mate Ticktum in the hunt for second in the championship, which will be decided in Sunday's finale. When informed of the temperature, the Estonian said: "Really? Well, the track was terrible so that kind of explains it! "I had a lot of pick-up and I made some mistakes, but then I managed to pull a gap after Mick made his mistake at Turn 1. "I'm really happy with this victory - it's quite close for second in the championship, so I've really boosted my chances with that."